When We Think of Wild Foraging, We Rarely Think of Tree Bark. But There’s A Surprise Inside. The first people to discover the use of tree bark for food and medicine were Native Americans. The name “Adirondack”, which defined the Algonquin Indians, stands for “tree-bark eaters.” It was a derogatory name given to them by their bitter rivals, the Iroquois. Early pioneers learned these skills from Native Americans, and today many people still look to tree bark for medicinal applications. Some cultures still consume tree bark as an occasional part of their diet. In fact, the Scandinavians have been using an inner Phloem layer of bark to make flour out of pines and birch trees for centuries. It was typically added to other flours derived from grains or was used to thicken soups or stews. But before you grab a piece of bark and start chewing on it, you need to understand which part of the bark offers the nutritional and medicinal properties. Trees essentially have eight layers or parts. These layers fall into three categories: The wood of the tree itself, the inner bark, and the outer bark. Pith – This is a small, pulpy core running up the center of the trunk. Heartwood – This is wood that has been clogged with gums, resins, and other elements to support the tree. Growth Ring – This is a concentric ring that’s divided into earlywood and latewood that indicates the amount of wood added to a tree’s diameter in one growing season. These are the rings we often count to determine the age of a tree. Rays – The rays in a tree trunk carry nutrients and water laterally through the wood. 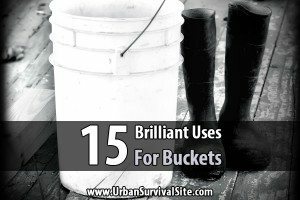 They also store nutrients for later use. Sapwood – The sapwood is the first part of the tree’s layers that actively deliver water and minerals from the roots to the leaves. It also stores nutrients and provides support to the tree. Cambrium – The cambrium layer is a thin layer of reproductive tissue that is high in elements with medicinal properties and essentially acts to promote the continued growth of the tree. Its thin ring adds to the next layer of the tree which is known as the phloem. Phloem – The phloem layer is a spongy layer of tubes that carry dissolved sugars and growth hormones from the leaves to other parts of the tree. The photosynthesis that occurs in the leaves is dependent on this layer to deliver nutrients. The phloem also delivers medicinal benefits and is the layer used to make flour when dried. 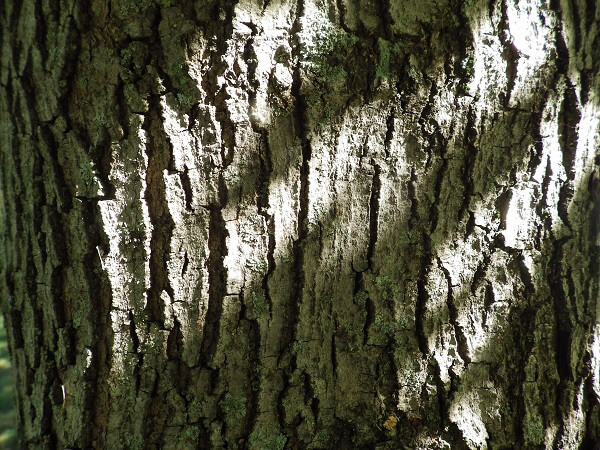 Outer Bark – This is the bark we see on the outside of a tree. It serves to insulate the tree against temperature extremes and also keeps the phloem and sapwood from drying out. It largely consists of cellulose and provides little or no nutritional or medicinal value. The critical layers to harvest for medicinal and nutritional value are the Phloem layer and the Cambrium layer. The Cambrium layers can be scraped from the sapwood with the edge of a knife or carefully scraped from the Phloem layer with a spoon. The Cambrium layer is transparent and a bit moist and is typically steeped in an infusion or moistened and applied externally to the skin as a poultice and held in place with gauze or a piece of cloth. The Phloem layer is thick and a bit spongy and can be separated from the outer bark with a knife. This layer is either dried and ground into flour, cut into strips to make Phloem spaghetti, or boiled and eaten raw. An unfortunate flavor that permeates tree bark is bitterness. This can be relieved to some extent by steeping it as a tea or infusion or boiling so it can be eaten. Even then, a touch of honey or maple syrup helps to compensate for the bitterness in an infusion, or a simple sauce can help take the edge off the bitterness if you are eating it from the Phloem. The flour tends to be less bitter when used to thicken a soup or stew or when combined with other flours for bread. Good news and bad news about the nutritional value of tree bark. The good news is that the Cambrium and Phloem layers provide varying degrees of Vitamin C, micronutrients, and bioflavonoids that support the immune system and cell integrity. Not surprisingly, these tree bark layers are also very high in fiber. The bad news is that tree bark offers scant amounts of edible material and is very low in calories. 1000 to 1200 calories per kilo or 2.2 pounds. When you consider that the average, active adult needs 2000 to 2500 calories a day, that means eating an awful lot of bark. The flour is higher in calories, but you cannot live on tree bark alone. 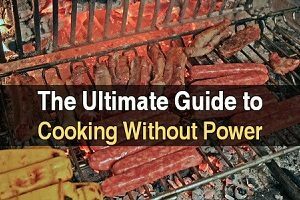 It should be thought of as a nutritional supplement to other foods you forage or hunt. 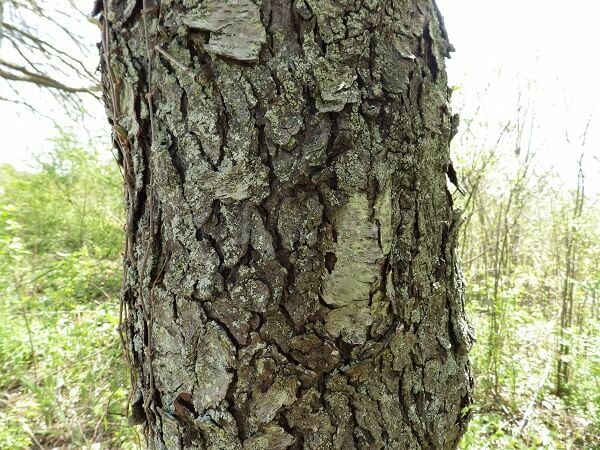 The outer bark is inedible as a food source for the simple reason that it is largely made of cellulose. Humans cannot digest cellulose. Humans have a monogastric digestive system. That means one stomach. It’s why a cow has 4 stomachs. They need the extra stomachs to derive any calories or nutrition from grasses. This is referred to as a digastric digestive system. On the upside, tree bark is available as a nutritional food source year-round and can help sustain you when late Autumn, Winter, and early Spring are offering little in the way of edible leafy plants or fruits. This is where tree bark hits a home run. The medicinal value of tree bark is significant and may surprise you. The best example is the inner Cambrium bark layer of the white willow which contains a compound known as “salacin.” Salacin is the active ingredient in aspirin. In fact, all aspirin today contains salacin and white willow is the source unless it is manufactured synthetically. Slippery Elm also has salacin but in smaller amounts. White willow and slippery elm are proven pain relievers when infused in hot water and consumed. It should be noted that any infusion of salacin from tree bark does not have the blood thinning properties of commercially manufactured aspirin. Inner Cambrium bark layers are typically prepared as an infusion which is essentially a tea of the inner bark soaked in freshly boiled water for five minutes. You should start by taking small doses of any infusion of tree bark to assess its effect or side-effects. It’s difficult to determine proper dosage, unlike store-bought medicines that are carefully measured and manufactured to the ideal dose. Consume these first samples in moderation to determine dosage and effects. This should be done by healthy adults rather than children or someone who is infirm. A poultice or external application of the bark to wounds, bruises, aches or soreness. An essential oil applied externally to the skin after pressing the Phloem bark layer to release the oils. The Cambrium layer was typically used for infusions while the Phloem layer was sometimes used to serve as a poultice in addition to the Cambrium after soaking in hot water and wrapping with a gauze or a cloth. Pressing the Phloem layer will result in the release of essential oils that can be used topically on the skin, but essential oils from tree bark should never be consumed by mouth. They are potentially toxic as an oil from some trees. An excellent source for learning about the medicinal use of tree bark is the Peterson Field Guide to Medicinal Plants by Steven Foster and James A. Duke. It covers a variety of medicinal plants, including tree bark, and identifies the usage and potential toxic side-effects of certain trees. You have to be careful here. Some trees are toxic from roots through the bark to the leaves. Poison Oak and Poison Sumac are classic examples. Others are edible, and the inner tree bark actually is a bit sweet. Maple is a good example. Here are some of the trees often harvested for their bark. If in doubt about a tree, The Audubon Field Guide to North American Trees is an excellent source. It’s also important to note that there are many varieties of trees within a species. Pines and maples abound. Generally, all varieties of a tree species provide similar benefits, but some varieties deliver more nutrition or medicinal properties the others. The trees listed here are at the top of the chain with regards to benefits. The bark on most pines is suitable for making flours and a variety of medicinal uses. The Phloem layer is dried and pounded into a flour, and the Cambrium layer is used as an infusion or tea. The appearance of the bark varies depending on the species, but because of the “evergreen” nature of pines, the needles will give you enough information year-round to identify the species using one of the field guides to trees. The Cambrium bark infusion is used for colds, coughs, gripe, sore throats, and lung ailments. As a poultice, the Phloem and Cambrium layers can be used for headaches, backaches, and other aches and pains. White willow is the tree bark hero. The Cambrium layer is infused as a tea and is an excellent medicine for cuts, pain, fevers, diarrhea, arthritis, rheumatism, and inflammation. Both the Phloem layer and the Cambrium layer is used as a poultice to treat skin ulcers and poison-ivy rash. The Cambrium layer of all maples can be infused to treat colds, coughs, bronchitis, kidney infections, and diarrhea. It is also a diuretic, expectorant, blood-purifier, liver and kidney cleanser, and it is often used in cough syrups mixed into a thick syrup with maple syrup or honey. Black cherry bark should not be harvested in the Fall. 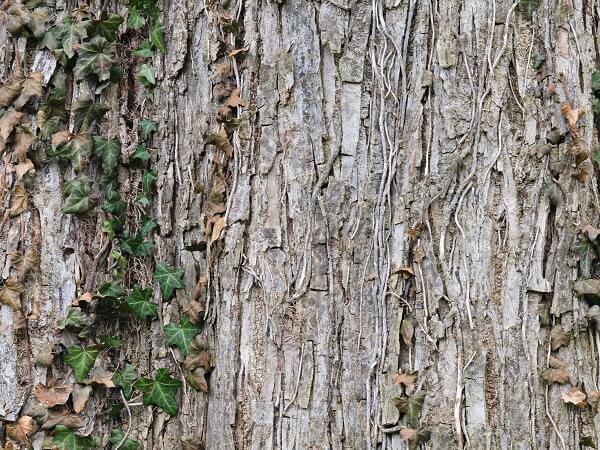 The Autumn bark contains varying degrees of glycoside and prunasin which is a cyanide-like substance which, when ingested, can turn into the highly toxic hydrocyanic acid. This is also another reason to take small doses to assess side-effects even when Black Cherry is harvested in Winter, Spring, or Summer. Use the Inner Cambrium bark infused in a tea to treat coughs, fevers, colds, sore throats, diarrhea, bronchitis, pneumonia, dyspepsia, mild sedative, expectorant, poor circulation, and inflammatory fever diseases. Sip in small amounts to assess the dosage as you go. The Cambrium layer is infused into a tea to treat sore throats, upset stomach, indigestion, digestive irritation, stomach ulcers, coughs, pleurisy, diarrhea, dysentery, and as a nutritive broth. A poultice applied externally can be made into a thick tea from powdered inner Phloem boiled in water and reduced for treatment of fresh wounds, ulcers, burns, scalds, and is soothing to mucous membranes and softening of hard tissue. An infusion of the Cambrium bark layer was used to treat fevers, stomachaches, and lung ailments. The Phloem layer, when pressed, creates an essential oil applied topically to the skin to treat rheumatism, gout, pain, or sore muscles. Essential oils should not be ingested because they can be toxic. However, Scandinavians harvest the inner phloem bark layer of birch to make their birch flours after chopping, drying and pounding. The best way to harvest tree bark is to cut a rectangular shape on the side of a tree using tools such as knives, saws, hatchets or an ax. This is called “window-paning” and results in a cut that resembles the tall, rectangular shape of a window on the side of a tree. This will obviously leave the tree disfigured where the window-pane was made, but most trees recover over time as the tree heals the wound. 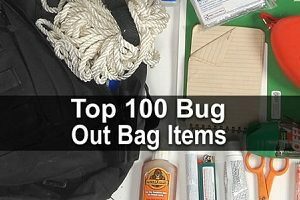 If the tree is anywhere in or near your yard, you may want to coat the wound with a tree paint to prevent insect infestation. Avoid removing bark from the circular circumference of the tree. This type of cut will kill the tree. It’s sometimes referred to as “girdling.” Cultures around the world would often girdle a tree around its circumference to kill the tree for firewood or shelter. This was before the invention of metal tools which made tree-felling a lot easier. Girdling kills a tree because the layers of bark that are cut are essentially the vascular system of the tree. This is especially true of the Cambrium and Phloem layers. 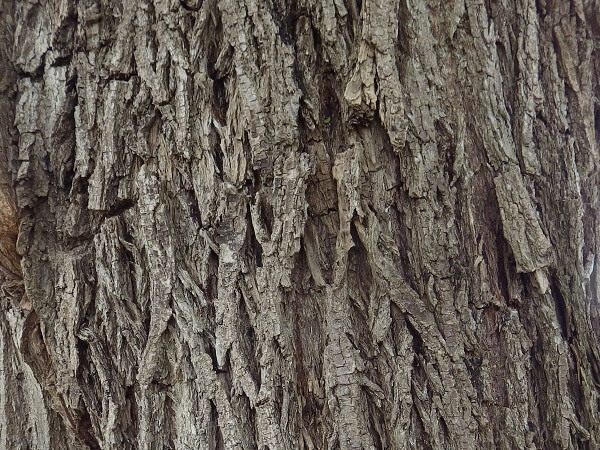 If the bark is stripped from the circumference of the tree, the roots cannot send water or nutrients to the branches of the tree, and the leaves cannot send nutrients from photosynthesis down to the rest of the tree. Window-paning also makes it easier to assemble and carry slabs of bark from a variety of trees back to your camp or cabin where they can be further processed. Even then, always stop and take some time to scrape the inner Cambrium from the sapwood of the tree after you cut out the window pane. This can be done with a knife edge or the sharp edge of a hatchet or ax. Scrape the Cambrium from the tree pane on-site, and the bark slabs when you return to home or camp. Collect the soft Cambrium bark in a small pile on the external bark slab, or in a bag, bowl, or cooking pot. Remove the separate layers starting with the innermost Cambrium layer and working outwards to the Phloem. Discard the outer bark or use it for a survival plate or slab. 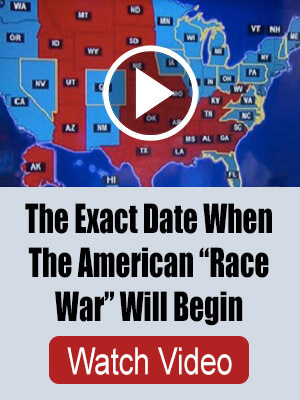 You can also burn it in your fire. Cut the inner Phloem layer in contact with the outer bark into strips either spaghetti thin or as wide as one inch. It’s easy to keep track of which layer you’ve removed because the Cambrium is thin and transparent and the Phloem is thicker and spongy. The innermost layer or Cambrium is best for bark-tea infusions, and the outer layer of phloem is used for flours or simply fried or cut into thin strips for a spaghetti type meal after boiling in water. The inner Cambrium bark that you’ve scraped from the sapwood or the bark slab of white pine and maple are naturally sweet. You can even chew them raw, although some pines are sweeter than others. Others are very bitter. There’s less cellulose and they are not as fibrous as the phloem. The Cambrium or innermost layer of tree bark can be infused in very hot, recently boiled water to create a tree-bark tea. This can be done with white pine and other pines, all species of maple and willow or slippery elm, in addition to other species. Both willow and slippery elm also offer medicinal values for pain and have anti-inflammatory properties. Strips of the Phloem layer can be deep-fried or sautéed and eaten like a large potato chip. Frying helps to break down the fiber but they’re still a bit chewy and can be better. A little salt helps. 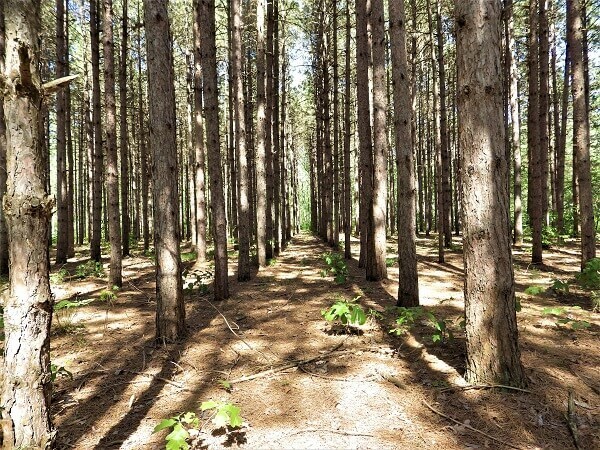 The best trees for this approach include white pine, maple, willow, or slippery elm. This gives you an infusion and, if you’ve cut the Phloem layer into spaghetti strips, you can eat it as a pasta substitute. It will still be a bit of a chew and might need some kind of sauce. 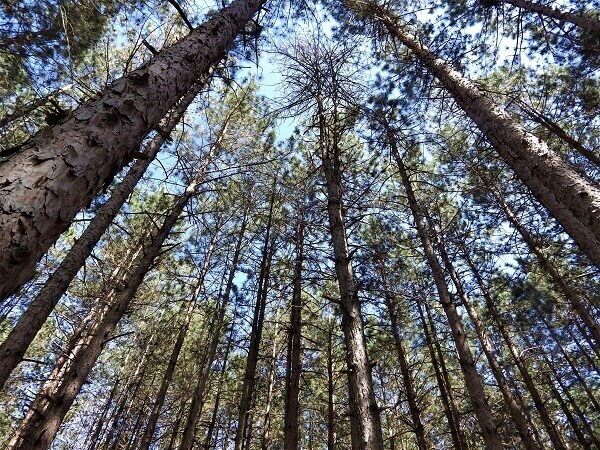 A list of trees that can also work for this approach includes white pine, maple, willow or slippery elm. 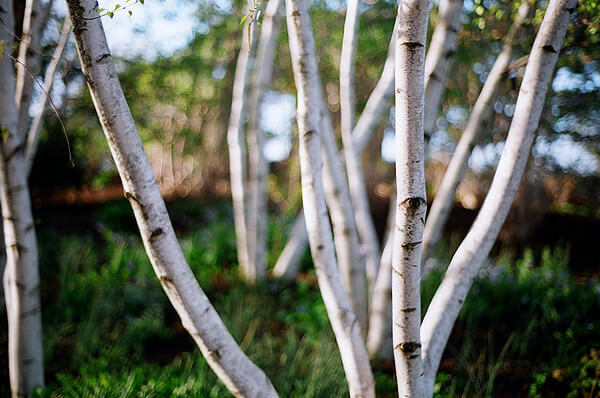 You can add birch to this list in addition to white pine and other pines, all species of maple, willows, and slippery elm. Cut the Phloem layers into strips and dice them up. Either dry them in the sun, bake them in an oven on a cookie sheet, or carefully roast them over or next to a fire on a slab of slate or another flat stone. When dry, pound into a flour on a rock using another rock or rub a flat rock over the surface of another flat rock. Sift the flour and repeat until you have pounded or ground all of the pieces. Add this flour to any baking recipe in a proportion of about three parts grain flour to one part of bark flour. At home, you could use a food-processor, but you’ll need to sift as you go. 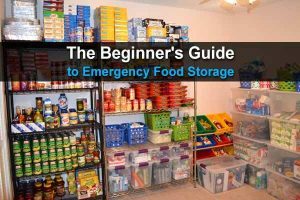 Remember, it’s always better to practice survival skills rather than figuring them out for the first time in a wilderness survival situation. Tree bark will often surprise you with a bonus like lichens and mushrooms which grow on the bark. Lichens grow on the bark of trees all the time. They’re easy to spot and easy to reach at ground level. 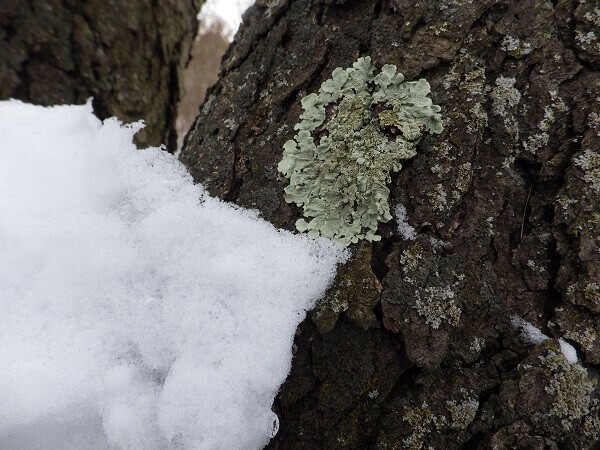 We have an article about finding, harvesting, and eating lichens that you should check out if you are considering tree-bark with lichens as a food source. When cooked, lichens are tender but a bit chewy and gelatinous like boiled okra or boiled cactus. Be careful with these things. Out of the 10,000 species of mushrooms in North America, 96% range from toxic to poisonous. Just because you see mushrooms commonly growing from trees or their bark doesn’t make them safe to eat. Consult the U.S. Forest Service website or a book like the Field Guide to North American Mushrooms and only eat a mushroom that you are 100% sure of. 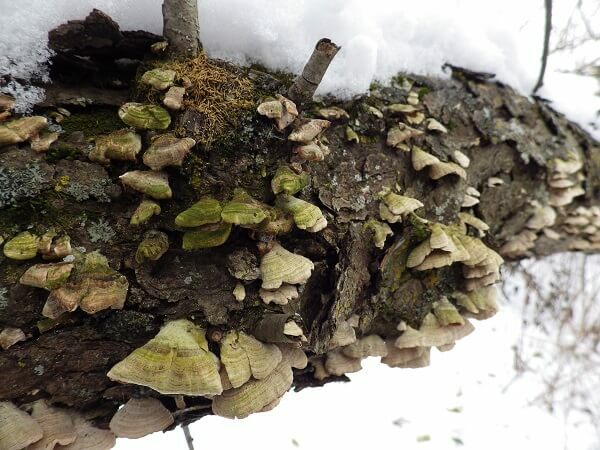 The added value of bark bonuses like lichens and mushrooms is that they also provide their own set of nutritional values and calories. These values vary depending on size, quantity, and variety but they can help in terms of both flavor and nutrition. Think of tree bark as a supplement to any wild-foraged food. There are numerous other trees that offer these nutritional and medicinal benefits, so do some research. They can be especially valuable in winter when other wild food sources are limited. In fact, most food sources in the wild are limited at any time of year, so someday you may have to seriously consider tree bark as a resource for your wilderness survival needs. Food for thought.